As a photographer, copyright is of vital importance to your business. Depending on the nature of your work, your major income stream is likely to be either commissioning fees (for example one-off fees charged by you for a wedding shoot), or licensing fees charged by you when a third party uses images for which you hold the image rights. Copyright has been a tenuous subject for photographers for some decades now, but the Copyright, Designs and Patents Act 1988 provided significant new rights for individuals working in this field. As a photographer you will come under constant pressure to give up the rights that you are owed as a result of this Act. However, it is almost never advisable to do so. 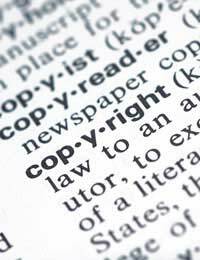 As is enshrined in British copyright law, copyright exists from the point of creation. If you are a freelance photographer, you will automatically own the copyright to any images that you take; copyright regulations state that these image rights will be yours from the moment that you press the shutter. This is the case regardless of whether or not there are other individuals in the photograph; while people of whom you take a photograph have certain limited rights regarding where their image is used, the image rights themselves remain with you. There is, however, an important exception to this; if you are an employee of another company and you have taken a photograph within the terms of your employment, the copyright in that image will remain with your employer and not with you. Copyright is a battleground for photographers and clients. As a photographer, the likelihood is that you will find yourself in a position in which you are pressured by clients to give away your copyright; indeed, many individuals or organisations that commission photographers will try to persuade you that you don't own the copyright anyway, simply because they have paid for a shoot. This is absolutely not the case, as is clearly outlined in copyright regulations. If and when you find yourself in a situation of this sort, there are a number of things that should be remembered. In the first instance, you should bear in mind that there is no conceivable use for a photograph for which a licence cannot theoretically be obtained from the copyright owner by a prospective licensee – although, as the copyright owner, you have the right to protect your image and to decide where and when it is used. Furthermore, your image may well be worth hundreds of times more to you in license fees than the value of the initial shoot. As such, you should resist pressure to give up your copyright unless you are being offered a very special price. While copyright law states that the image rights reside with the photographer, it is frequently difficult to prove that you are indeed the copyright owner. As such, many photographer choose to use copyright registration services. Copyright registration offers a means by which photographers can provide proof that they created the image. It should be remembered, however, that this process has a significant associated cost, and is not necessary for legal purposes. If you are interested in copyright registration, you may wish to read the relevant article elsewhere on this site.